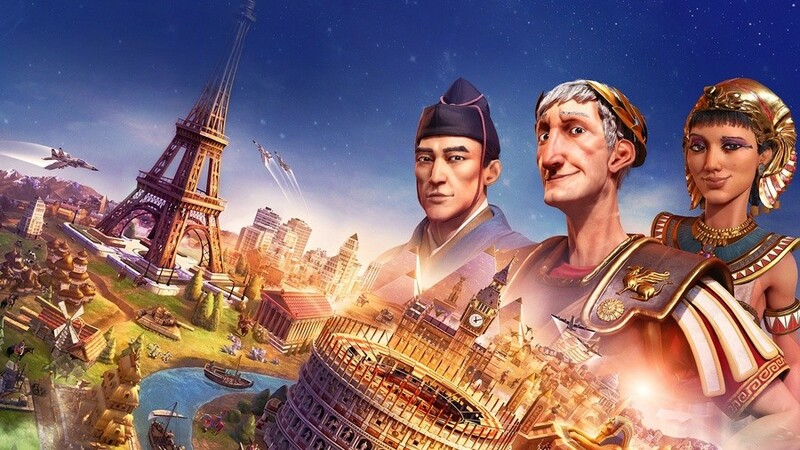 Sid Meier's Civilization VI has just received a minor update to make life a tad easier. The game now supports cross-platform cloud saves on Nintendo Switch and Steam. In order to access this feature, you'll need to create a 2K account (if you haven't already), and link it up with the Switch and Steam versions of the game. This essentially means you could be playing on your computer and continue the game on Switch, in either portable or docked mode. It's quite a nifty feature when you consider just how long matches can take to complete. The only downside here is the fact you're limited to base game saves, as the Switch version does not include newer content. Is this the feature you've been waiting for? Tell us down in the comments. Good news. Every games should have the cloud saving. Hey Splatoon 2! I'm talking to you!! But PC got a ton of expansions and new content the switch didn't get. How will that work with the saves? A really nice feature, but I haven't touched the PC version since the Switch version came out. I have my Switch and PC plugged into the same 60 inch TV, I don't see much reason to both with this personally when I can be in the middle of a game, and just pick it up and take it with me already. However for people with a different set up, this is a real nice feature. I tend to play Civ 6 in the morning while I have my coffee before work. I'm closing on the 100 hour mark on Switch. @Mountain_Man Some people might prefer to play on their PC at home but then to take their Switch with them while travelling. Every game should have "cross-platform cloud saves" with Switch. Not had time to set it up yet. Being able to play on the GO on Switch and full spec version on PC for home play would be amazing! I love this game on Switch! I hope to see the DLCs I'in the future. More games need this functionality, it should be standard in my opinion, I would buy more games if I knew that my save data was tied to the game itself. Cool, but where are the expansions? So now i’m able to continue playing at work on a pc without having to sit on the bathroom for hours so nobody notices? Sweet! One step closer to online multiplayer. Let's have some of that DLC as well please!!! Too bad its only the base game on Switch. Can't go back to playing without the dynamic environment. Yep, waiting for expansions for switch version. Good to see that they are updating the Switch version. I hope they have plans to add the expansions soon as well. 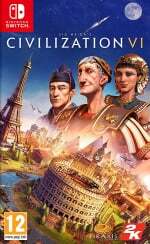 I haven't played Civ for a while but once I do, I won't be able to stop for a while. I don't have it on PC so it does nothing for me, but its really nice that they added it for those who do. It must have sold pretty well if they're willing to do something like this. Now I'm just hoping they release the DLC, but I love the base game as it is so its not a deal breaker. The game is incredible. I hope this means the PC games are so compatible that we can await a Civ Collection on the Switch.